A Russian Progress resupply ship launched on a fast-rendezvous mission to the International Space Station (ISS) on Wednesday. Progress M-22M was launched by a Soyuz-U launch vehicle from the Baikonur Cosmodrome in Kazakhstan on Wednesday at 4:23pm UTC, ahead of docking, just six hours later. 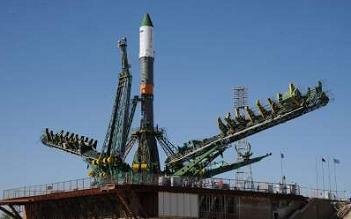 The Progress rode to orbit on the Soyuz-U rocket, which was launched from the PU-5 LC1 ‘Gagarinskiy Start’ (17P32-5) launch complex at the famous Cosmodrome. It remains in service, and in the last few years it has mostly been used to launch Progress missions to the International Space Station, as well as occasional military payloads. 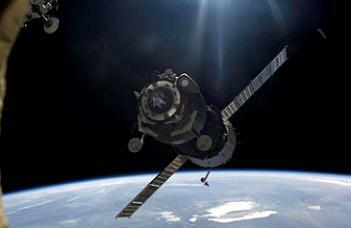 As per usual, a previous Progress – M-20M – was undocked from the ISS to make room for Wednesday’s new arrival. “An OPM (Optimal Propellant Maneuver) was performed to move ISS from +XVV to –XVV,” noted L2 ISS status information on the move. “BGAs were in autotrack during the maneuver. Progress M-20M undocked successfully in -ZVV with three BGAs in directed position (no latching required). ISS returned to 0XVV and will remain until after M-22M docks. This Progress is packed with 1,764 pounds of propellant, 110 pounds of oxygen, 926 pounds of water and 2,897 pounds of spare hardware, experiment gear and other supplies for the six-man Expedition 38 crew. The new ‘fast rendezvous’ approach – that was employed by Progress M-22M was detailed in a Russian document describing the new rendezvous profile, which was seen by NASASpaceflight.com. While the primary driver for this capability is to cut down on the amount of time that crews must spend inside the cramped Soyuz spacecraft between launch and docking, the maneuver was first being tested out with a few Progress vehicles in order to prove the concept, and demonstrate that it can be performed safely and successfully. The first crewed Soyuz to test try out the fast lane to the ISS, TMA-08M, successfully carried out the six hour trip last March. 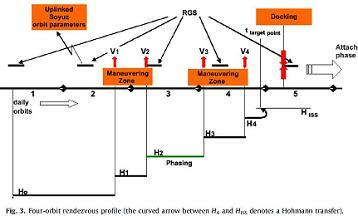 Numerous Russian Soyuz and Progress vehicles have utilized this approach over recent missions. However, the previous Progress to dock – M-21M – took the longer route to the Station, before misbehaving shortly before docking. The vehicle was tasked with testing a more-efficient KURS automated rendezvous system. 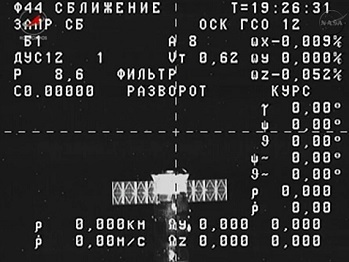 However, the system failed at 60 meters distance from the Station, requiring a rare manual docking that was ably completed by Commander Oleg Kotov. (Click here: http://www.nasaspaceflight.com/l2/ – to view how you can support NSF and in return access a massive collection of amazing content).